Scotland seamer Safyaan Sharif held his nerve at the death to deny Ireland victory in a high-scoring encounter at Deventer. Scotland had posted a commanding total of 185/4 – their highest in T20Is against Ireland – after winning the toss and electing to bat. 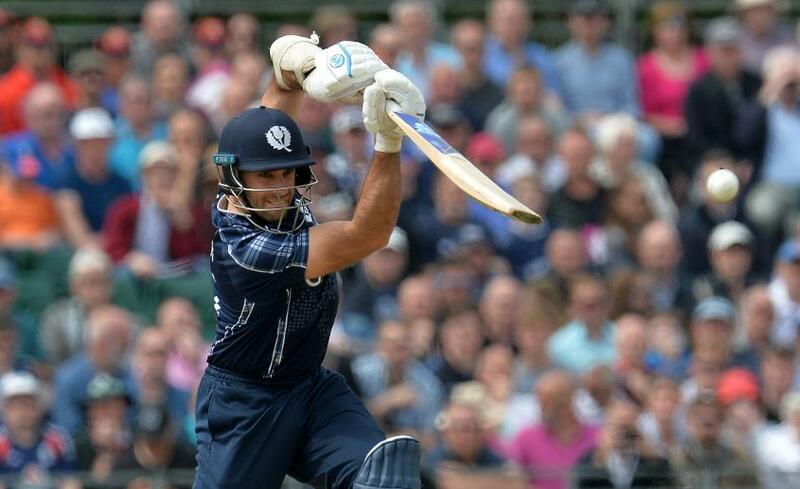 Openers George Munsey (46 off 25) and captain Kyle Coetzer (54 off 41) got the Scots off to a flier, reaching 93 in 8.1 overs before the former was dismissed by George Dockrell, caught at gully, on the left-arm spinner's 50th appearance in the format. James Shannon and Andrew Balbirnie both fell cheaply to Sharif (2/31) and Stuart Whittingham (2/33) respectively but Stirling was undeterred, motoring his way to a career-best 81 from 41 deliveries – including five fours and six sixes – as he and Simi Singh (26 off 23) put on a third-wicket stand of 68 which swung the game in Ireland's favour. When both fell in quick succession, captain Gary Wilson (20 off 14) and O'Brien (28 off 17) had to draw on all their experience to get the innings back on track and even after the loss of the former, Ireland still looked well on course. However, Sharif showed all his class in the final over to keep Poynter and Thompson in check after removing O'Brien to keep Scotland's chances of winning the tri-series alive. Next up Scotland play the Netherlands twice in two days, on June 19 and June 20 in Amstelveen.